Some celebrity pet owners have chosen to be buried with their pets. While burial with a pet is technically illegal in human cemeteries, if people are cremated, they can spend eternity with their pet in a pet cemetery. Hartsdale buries the cremated remains of 5 to 10 people a year. 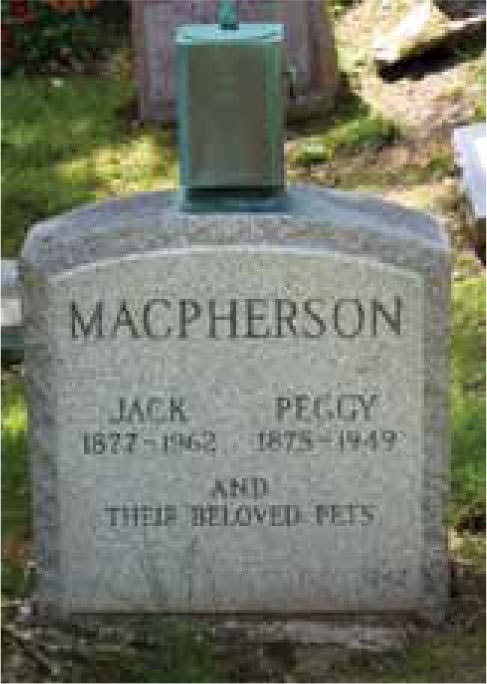 The ashes of Jack MacPherson (1877–1962), whose television persona was the “Magic Chef,” and Peggy MacPherson (1875–1949) reside in an urn perched atop a gravestone dedicated to their pets.